Riverscape genetics, or the influence of hydrographic features on the genetics and ecology of lentic and lotic populations, is a young discipline (Selkoe et al. 2016). There have been several temperate riverscape studies with a few tropical studies, being limited mostly to the Amazon and Australia. Very little is known about the population genetics of fishes in the Mekong River Basin (MRB), which is characterized by complicated hydrographic features, including wide seasonal fluctuations in flow (Mekong River Commission 2005, Chea et al. 2016) and numerous changes experienced and expected with more than 350 hydropower dams built, under construction, and planned (Winemiller et al. 2016). This PEER project will support the completion of population genetic studies of 14 species across 26 MRB locations from Myanmar to the Vietnam delta. This will augment information on 2 species collected and analyzed during during the PI’s project in PEER Cycle 2, add new localities to species initiated in a project on which she was co-PI in PEER Cycle 3, and add an additional 6 species not already initiated in previous PEER projects. Advanced genomic analyses will continue to be conducted on data collected using restriction site-associated DNA (RAD) data. 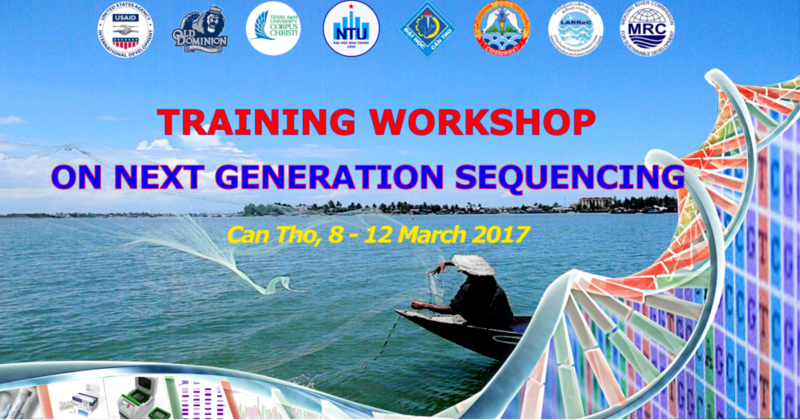 These analyses will provide important information on the population structure, effective population size, and directionality of gene flow to substantially add to our knowledge of the natural history of Mekong River fishes. The extent of collection sites throughout the Lower Mekong Basin and the number of species in this study provide the basis for the first ever comparative riverscape genetic analysis of fishes of tropical Southeast Asia. To ensure that the scientific information to be developed is available to and useful for resource managers, outreach will take place in conjunction with all field and annual meeting activities throughout this project. This will include seminars followed by roundtable discussions to introduce and understand how these analyses can be used and the consequences of disrupting the present population structure. The outreach efforts will target resource managers and development planners in governmental, intergovernmental, non-governmental, and academic institutions in the region, with particular emphasis on those involved in hydropower development projects. This project will also build on the need to create stronger regional collaborations for a better knowledge base to inform decision making by solidifying collaborations initiated during the PEER Cycle 3 project. This will be done by expanding the work done by collaborators in each of the four Lower Mekong Basin existing partner countries (Cambodia, Laos, Thailand, and Vietnam) and expanding this to Myanmar by including for the first time a collection component in that country. This new PEER project will add the University of Mandalay, Myanmar, to the network and will aim to build the advanced genomic capacity of all collaborative institutions to the level currently enjoyed at Nha Trang University.